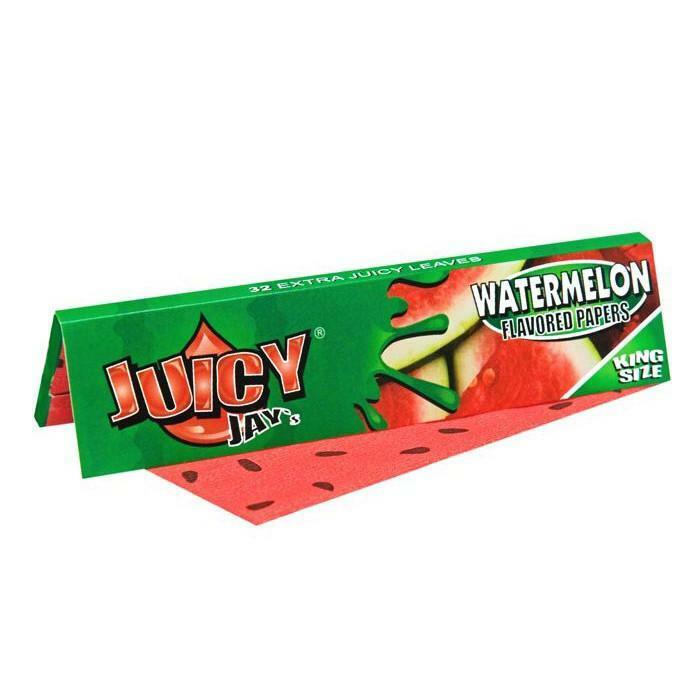 Juicy Jays Watermelon Flavour Kingsize Slim Rolling Papers will take you right back to the summer garden or buzzing festivals, nothing can beat the fresh, mouth watering tasted of freshly cut watermelon. The papers are packed full of watermelon, very mouth watering! To maintain the flavour throughout the paper they use a Triple- Dipped Flavouring System and Soy-based ink with natural sugar gum to make Juicy Jay's flavoured papers so mouth watering. A paper slip folded in with the leaves reminds you when you're running low. One single pack contains 32 rolling papers.